We are always available for communications during these hours. All applicable information regarding the product and its quality is listed and photographed. SLBRD Xeon X7560. 2.27GHz Socket 1567. 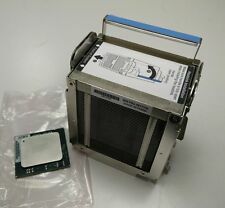 CPU Processor. IBM Option# 49Y4300. 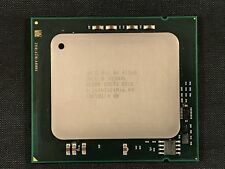 IBM Xeon X7560 8-Core 2.26GHz 24MB Processor & Heatsink. Compatible with IBM x3850 X5 and IBM x3950 X5 servers. IBM FRU# 59Y6223. Tony Rice - IBM Sales. Call us for details. Of Cores 8. # of Threads 16. Bus Speed 6.4 GT/s QPI. Cache 24 MB L3. The country of manufacturer may vary from pictured. Part Number: SLBRD. Processor Number: X7560. Manufacturer 1 Year This item is covered by a 1 year warranty from the manufacturer. If you are unhappy with one of our products, you can send it back as long as you follow these basic rules. Part Number X7560. Threads: 16. Product specifications. Our servers and parts are tested for full functions, R2/Ready for Reuse. System Boards. Reference the RMA number outside of box. Check parts for our serial numbers before sending back. Part #: AT80604004869AA. S-Spec #: SLBRD. Model: X7560 2.26GHz 8-Core 24MB 6.40GT/s Processor. Fits Various Dell PowerEdge, IBM, HP Proliant, Hitachi Servers. Max Turbo 2.66GHz. Intel SLBRD Intel.Processor Xeon X7560 Eight-Core 2.26 GHz Bus Speed: 6.40 GT/s LGA1567 Socket 24 MB L3 Cache. Part Number SLBRD. Threads: 16. Product specifications. Our servers and parts are tested for full functions, R2/Ready for Reuse. System Boards. Reference the RMA number outside of box. Check parts for our serial numbers before sending back. PN:X7560 SLBRD. Cores:8 Core. Then we will. Wrong size doesn't fit. Or it doesn't fit your application and is marked No longer want the item. This unit is used and. Phone: 408-762-7282. CRT glass, except for glass with lead content less than 5 parts per million, and clean of phosphor, CRT fines, coatings and frit. Does not apply to cancelled or incorrect/ wrong product ordered. Launch Date Q1'04. They support HT Technology 3.4TGHz 1M Cache, 800 MHz FSB. LGA 775 socket. Processor Base Frequency 3.40 GHz. Execute Disable Bit. Bus Speed 800 MHz FSB. CASE 73.5°C. Instruction Set 32-bit. Pictures are taken on a 1 cm grid. Socket: LGA1567. Model: Xeon X7560. 2.26GHz 24M. All serial and part numbers are kept on record to prevent fraud. We are not in the office over the weekend. This is the best info we have on these.